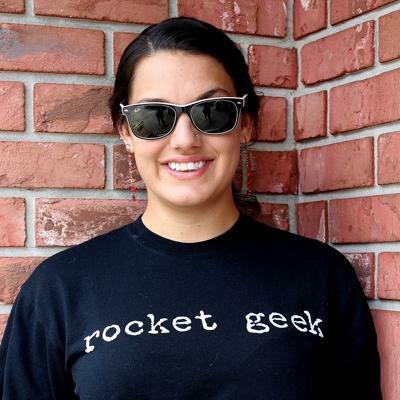 Show your true nature with the "Rocket Geek" shirt! Black with white text. Limited quantities.